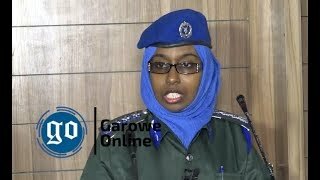 GAROWE, Somalia- The government of Somalia’s northeastern region of Puntland has spoke about the deadly al-Shabaab attack on a military camp in Af-Urur area, in Bari region on Thursday morning, Garowe Online reports. 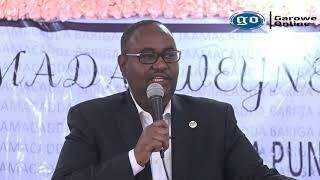 Speaking at a press conference in Garowe, Puntland's Minister of Security Abdi Hersi Ali "Qarjab" said al-Shabaab militants have killed fasting civilians, including elders before attacking the troops stationed at the base. Qarjab denied the death toll claimed by al-Shabaab, saying it was pure “propaganda”. 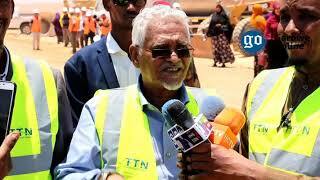 He added that the group suffered most casualties, but declined to give numbers of Puntland soldiers killed in the raid. "The militants killed elders and innocent civilians, before attacking a remote outpost manned by Puntland troops, where they encountered a stiff resistance and lost many combatants," said Qarjab. 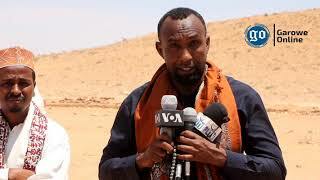 He refuted al-Shabaab claims of killing 61 Puntland Defense forces in the attack. "The evil-doers claimed massacring many innocent civilians. That is baseless report and untrue," added the Minister. When asked about the casualties on al-Shabaab side, he said they will comment the death toll later. He added the soldiers have successfully repulsed the attackers, and the camp was not overtaken. The Minister has urged the public to contribute to Puntland's military efforts to get rid of the presence of terrorist groups, including Islamic State and al-Shabaab militants in the entire region. GO has learnt that at least 60 people, including 26 civilians died in Af-urur attack, which was the deadliest single-day assault by the militants based in Galgala mountains in Bari region. 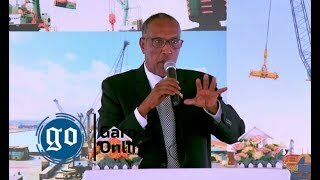 BOSASO, Puntland- Officials from Somalia’s semi-autonomous government of Puntalnd, have concluded a recent visit they made to military outposts in Bari region, Garowe Online reports.